Keeping traditional music alive with lively banjo, guitar, harmonica, fiddle, mandolin and heartfelt harmonies. 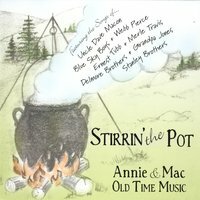 Dave Macon, the Bailes Brothers, Tennessee Ernie Ford, Jimmy Driftwood, Grandpa Jones and others, Annie & Mac provide a pleasing mix of humorous, love, and old-time songs which they sing with joy in the time honored duet style. Mac's clawhammer banjo and harmonica, and Annie's rhythm guitar are well steeped in traditional music. Comments from the audience usually include "toe-tapping, joyful, beautiful harmonies, sincere, and fun."